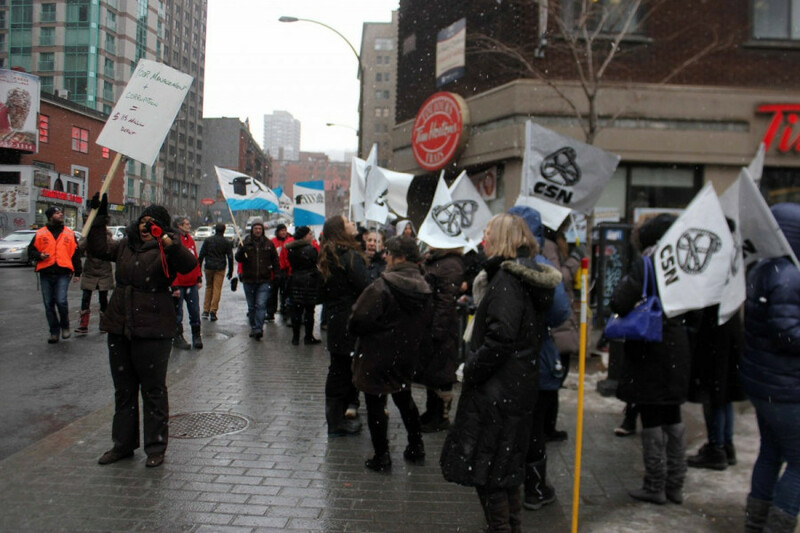 Around 200 Confédération des syndicats nationaux workers demonstrated at Norman Bethune Square against the cuts to the McGill University Health Centre around noon on Wednesday. The MUHC announced $50 million in cuts earlier this month for the 2013-2014 fiscal year in an effort to curb the centre’s $115-million deficit. 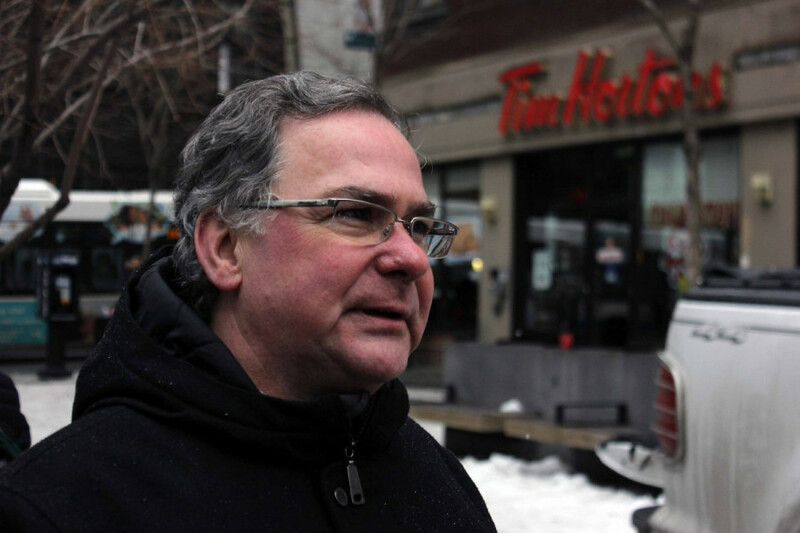 “The mismanagement has been there for many years,” said Paul Thomas, president of the MUHC workers union SECUSM-CSN, a division of the larger CSN. For Thomas, the government cuts to the centre are misplaced. “We’re asking the ministry to give some time to analyze the situation well, so we don’t have the same problem in a few months,” he said. Among the measures announced, the MUHC is laying off some housekeepers in charge of sanitizing the rooms. “It’s gonna affect patient’s quality, because if you don’t have the housekeepers on the floor, there are a lot of problems with infections,” said Thomas. Earlier the same day the Permanent Anti-Corruption Unit issued five arrest warrants regarding possible fraud for the construction of the MUHC, including Arthur Porter, former head of the centre. “We’re not really surprised,” said Thomas. “We’ve heard about that since September. For Thomas, one of the many problems is that the MUHC was built using the Public-Private Partenariat model. “In the PPP contract, there are some parts that are public and there are some parts that are hidden from the public, and the chapters hidden are about the hospital maintenance,” said Thomas.